After a taking a hiatus from blogging, I thought that I wanted to return with a some sort of scathing political commentary, filled with wit and an almost adolescent exuberance. 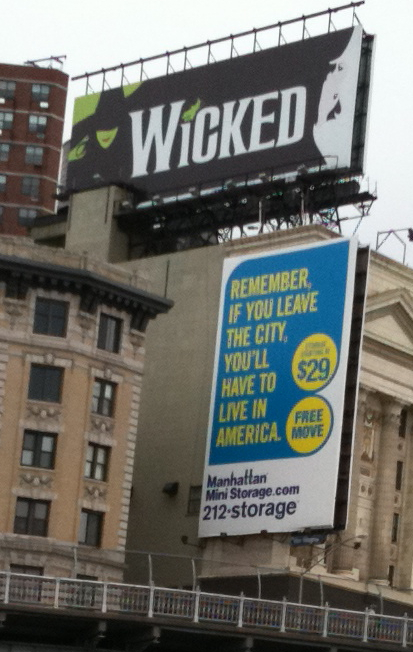 But then I spied this billboard along the West Side Highway. I was horrified. The Birthers had infiltrated the heart of New York City, my town, and were in the process of disenfranchising the place. Never again would we vote in a national election. Never again would someone from the five boroughs become president. We aren’t in America. But then I reconsidered. More likely this was the work of an insidiously clever Republican operative. 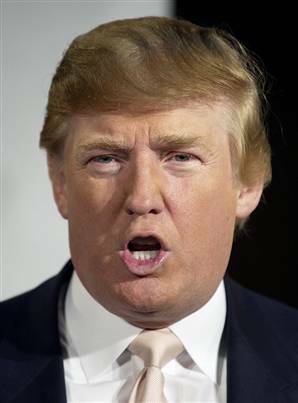 He knows that Donald Trump is a danger to the Republican chances in 2012, if only because of the hair, which looks just like his half brother’s (this is not intended to be a factual statement), the very former governor of Illinois. 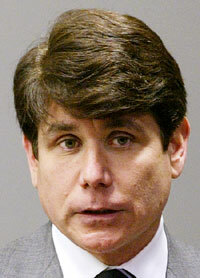 You know, what’s his name, Blagojevich. If only natural born Americans can run for president, and if New Yorkers are not Americans, then as a native New Yorker Trump can’t run for president. QED And every Birther, including Trump, would have to agree. A further clue to this dastardly mischief is supplied by one word from a sibling billboard. Oh, I can understand why New Yorkers might have attitude. After all, why would they have put Times Square, the Empire State Building, King Kong, Broadway, the UN, Wall Street, Steven Colbert, Lincoln Center, Batman, Superman, the Statue of Liberty, and the Yankees (of course), etc., here if this wasn’t actually the center of the planet? Why else would “New Directions,” the club from Glee, have to travel to New York to compete in the national finals? And let’s face it, when the ball drops in Times Square on New Year’s Eve, everything else is just anti-climatic. But just because NYC might be the center of the planet doesn’t mean it isn’t in the United States. Where else would it be? So let’s be clear. 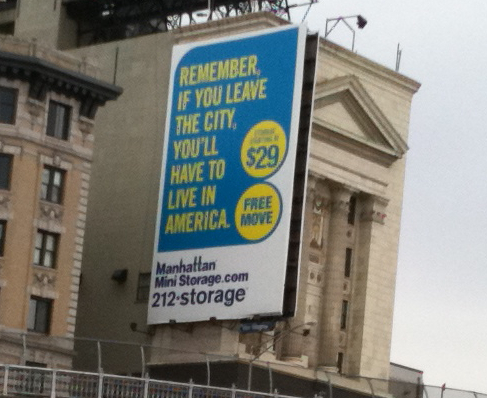 The sign should have read, “If you leave New York, you will have to live somewhere else in America.” Unless of course there is a Republican operative out there who is too clever by half. We will remain vigilant at UP@NIGHT. I am reminded of Senator Chuck Schumer’s explanation as to why New York City should receive a space shuttle and not Houston. To paraphrase: “Many people who worked in the space shuttle program came from New York. Therefore, we should have one.” He comments were extremely rude towards Houston and that we should get over it. Everyone wants to go to New York. Who wants to go to Houston? #1 Does he realize that Houston was founded by the Allen brothers from New York? I feel like Schumer spit on his child. Shouldn’t he be proud that many people came to or were born in NYC and then spread their skills across the country? #2 Can we expect a portion of Houston to be floated off the island of Manhattan? (No, Houston Street doesn’t count. Not only is it not pronounced the same but it has nothing to do with Sam Houston.) Will there be a hook descending upon Houston to grab unemployed space shuttle workers (who came from New York) for placement in museum exhibits as proof of New York’s superiority? #3 On the other hand Texas Governor Rick Perry wants our state to secede from the republic for which he is considering running as a presidential candidate. I request that Perry be removed from Texas… well, that’s all I care about. New York City can have him. There is no way he could survive there. Although I was born in Manhattan and live in Houston, I give them both a Bronx cheer. After all, I did spend the first 5 years of my life in a housing project there so I earned the right to give them a genuine one. P.S. Why is NASA-JSC being picked apart: no space shuttle plus we’re losing the high-fidelity space shuttle mock-up the simulator? 2000 people are losing their jobs.